On June 22, Kevin Luther spoke on “Causation in Workers’ Compensation Cases” at the 2018 National Workers’ Compensation & Occupational Medicine Conference held by SEAK, Inc. in Cape Cod, MA. Luther offered practical suggestions on how to evaluate and assist in workers’ compensation claims that involve causation issues. He discussed the significance of the mechanism of an injury, the use of objective medical evidence, diagnostic tests results and evidence-based medicine in causation analysis and evaluation. SEAK, Inc. is a continuing education, publishing, marketing, and consulting company founded in 1980. 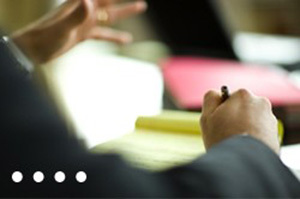 SEAK has trained more than 30,000 expert witnesses, physicians, lawyers, nurses, and other professionals.